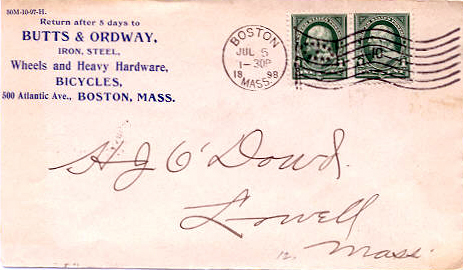 Butts & Ordway was an American hardware business. 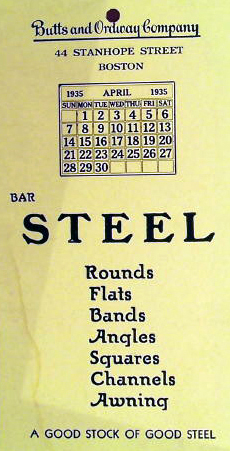 Like many similar companies, they tried their hand selling bicycles. Normally they would have bought in either complete bicycles from a local manufacturer and added their own badge, or the various components to assemble themselves. The wheels and mudguard are wooden, and it uses normal pneumatic 27″ tyres. It’s fixed wheel with a front plunger brake (freewheel hubs did not come on the market until 1898 and coaster hubs soon after). I’ve not yet been able to find out why this bicycle is called the Standish. There’s a village in Lancashire, England called Standish, as well as a town in Maine, USA. There was also a well-known writer called Standish. I always wondered if there was a connection with his name, as I remembered his 1903 book Frank Merriwell’s Bicycle Tour, but I’ve now researched further, and I don’t think he used this pseudonym until 1896. 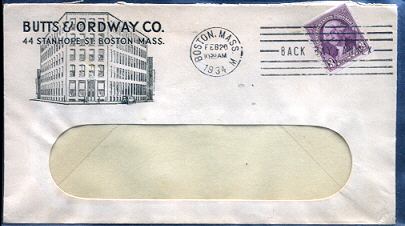 Burt L. Standish was one of the pseudonyms of Gilbert Patten (who was born William Patten in 1866). He had his first work published in 1880. 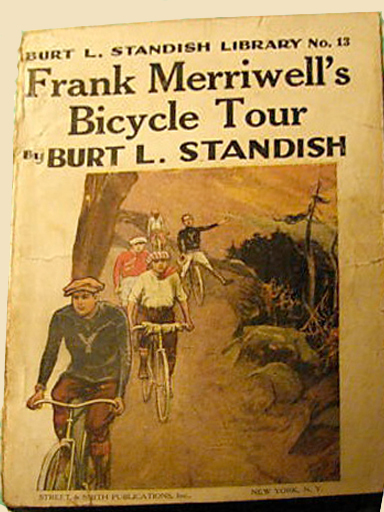 On April 18, 1896, under the pseudonym Burt L. Standish, he published the first of his famous Merriwell stories.